Those who love them all agree. Dogs are amazing animals. Not only are they capable of adapting to life with people, they have skills and abilities that are inconceivable to humans. From their fantastically sensitive noses to their keen intelligence, dogs find ways to thrill and stagger the imagination. 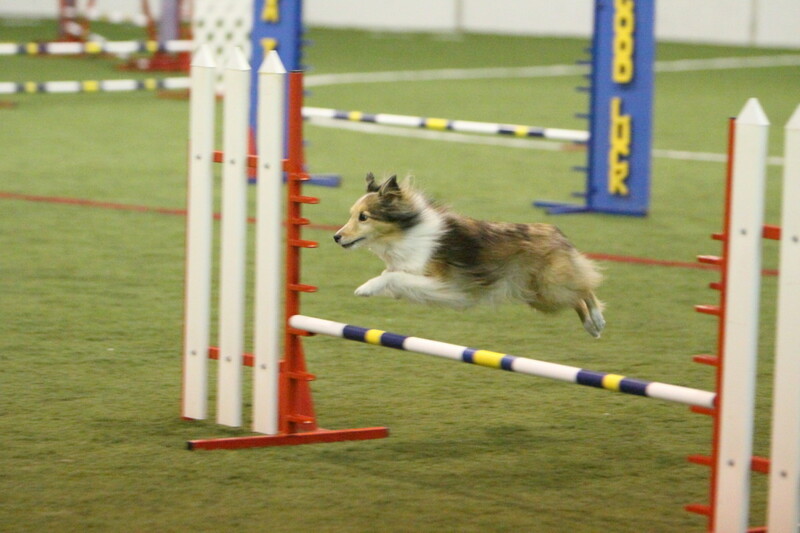 Dogs' physical capabilities are one of the many aspects of the species that continually amaze. 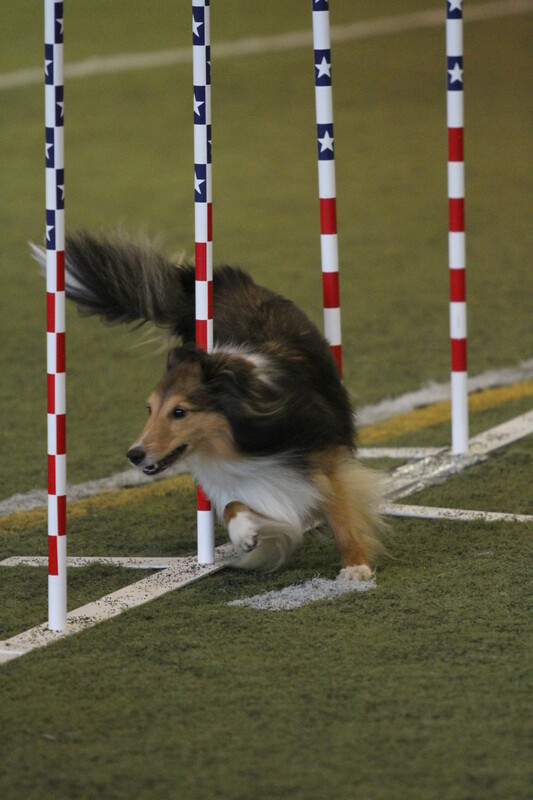 With the proliferation of fast paced canine sports and better camera technology, we now have many incredible images of our dogs running, jumping, twisting and turning with great speed and efficiency. 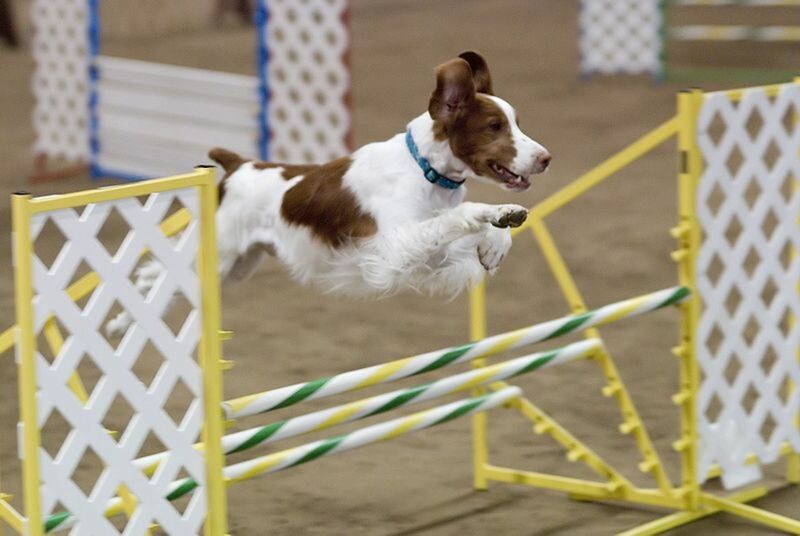 These pictures show how dogs use their bodies to perform bewildering physical feats. These images allow us to learn many things about our beloved dogs, including how dogs use their tails to help them move more quickly and fluently. 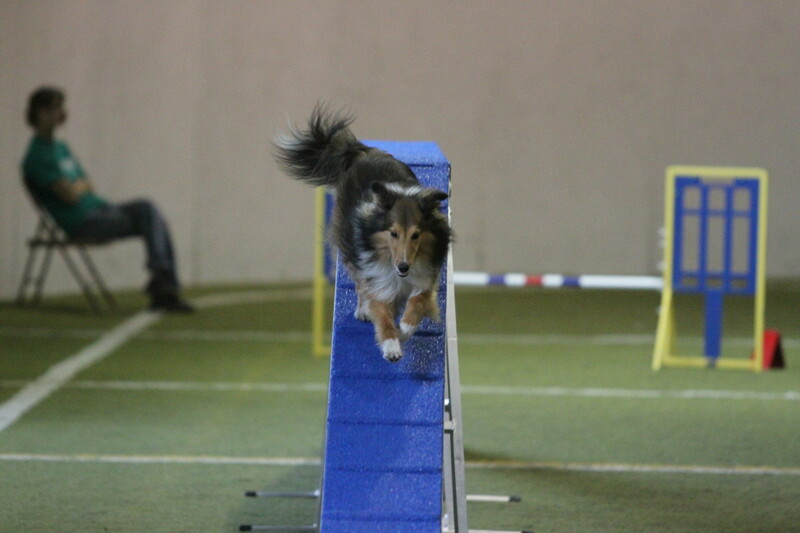 When dogs move, they use their tails as a type of rudder to help with balance. 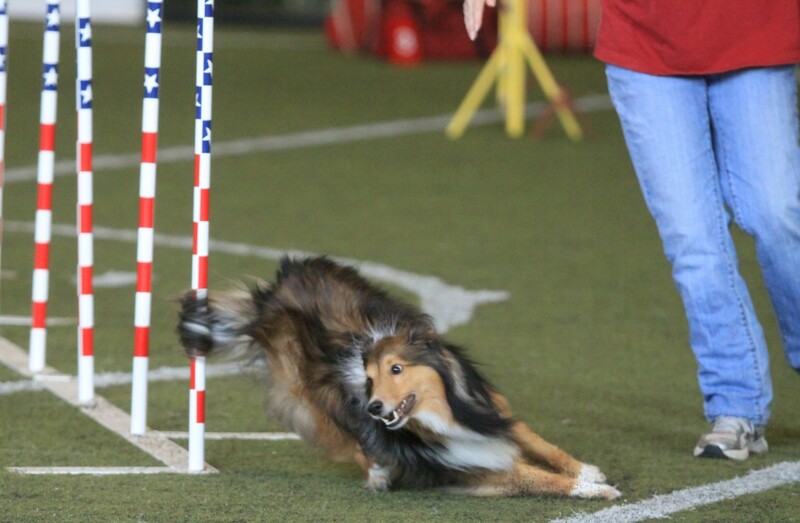 For instance, when a dog needs to slow, they will throw their tails up. 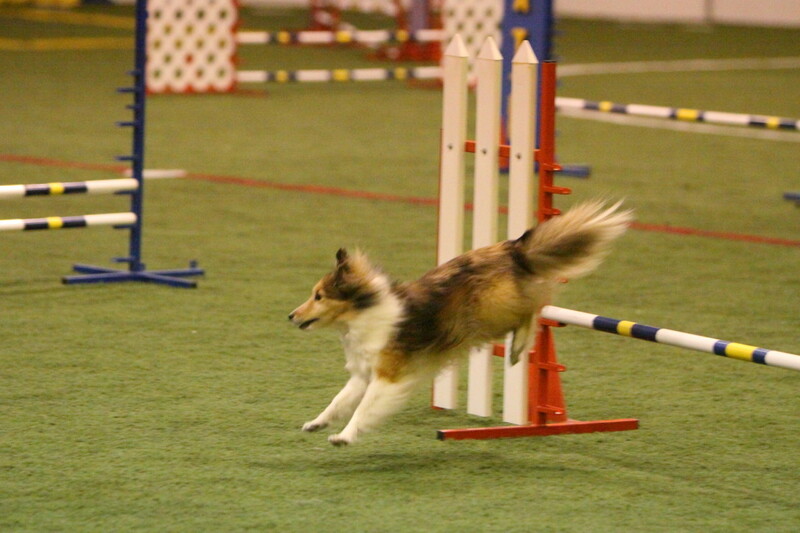 When a dog needs to accelerate or elevate, their tails will be lowered. 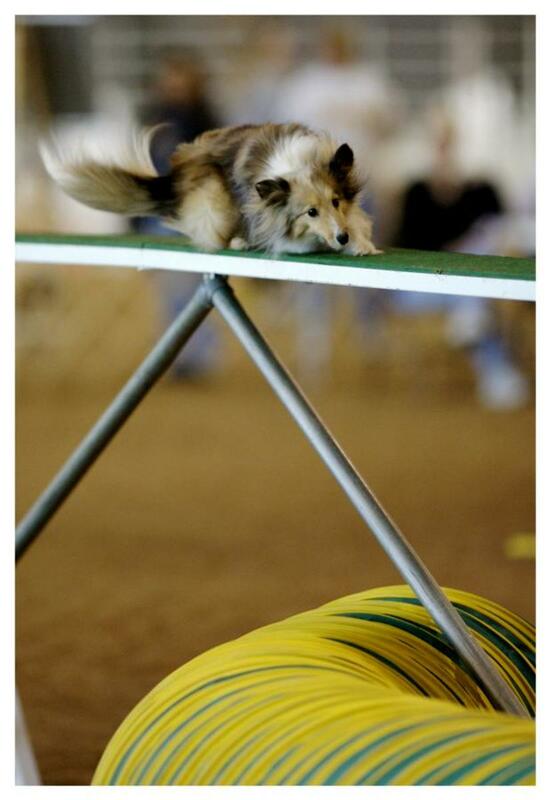 When a dog needs to balance, the tail may be thrown out to one side or the other. 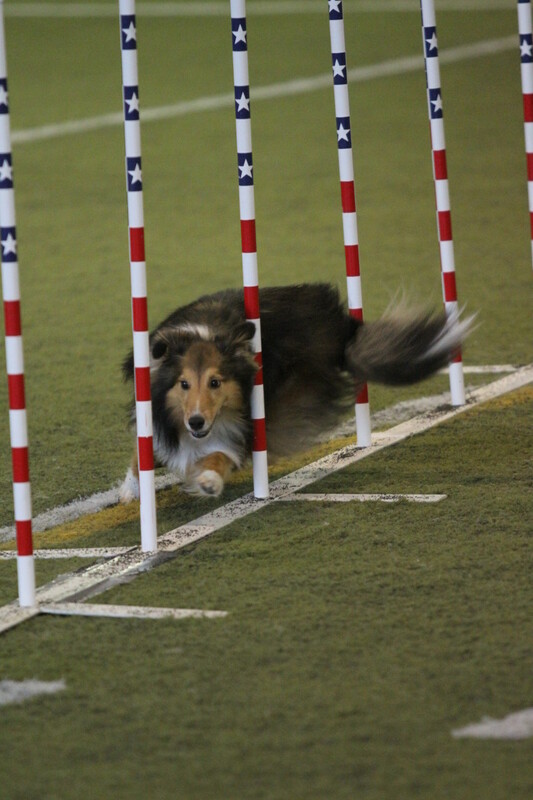 Let's look at various photos to examine how dogs use their tails to help them navigate in the sport of dog agility. In the photos above, the photographer catches a dramatic near disaster. 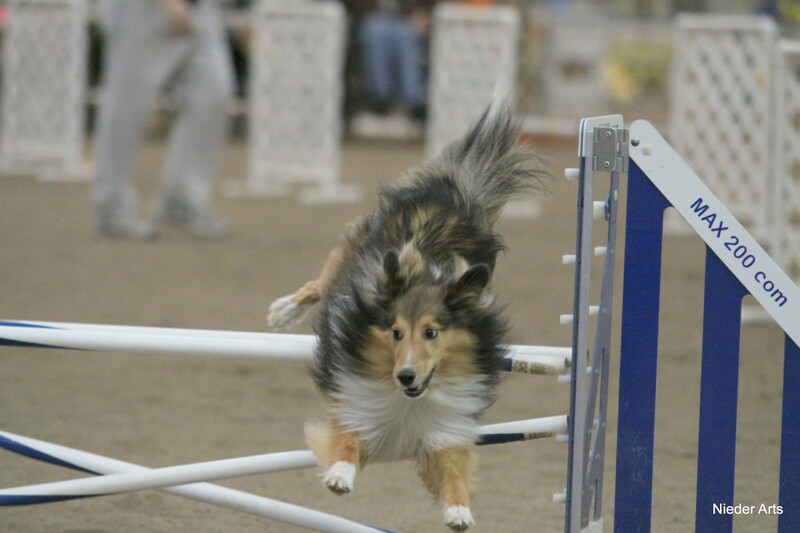 Here the author's Sheltie loses balance on the dogwalk and skillfully uses his body to help him reach a safe landing. 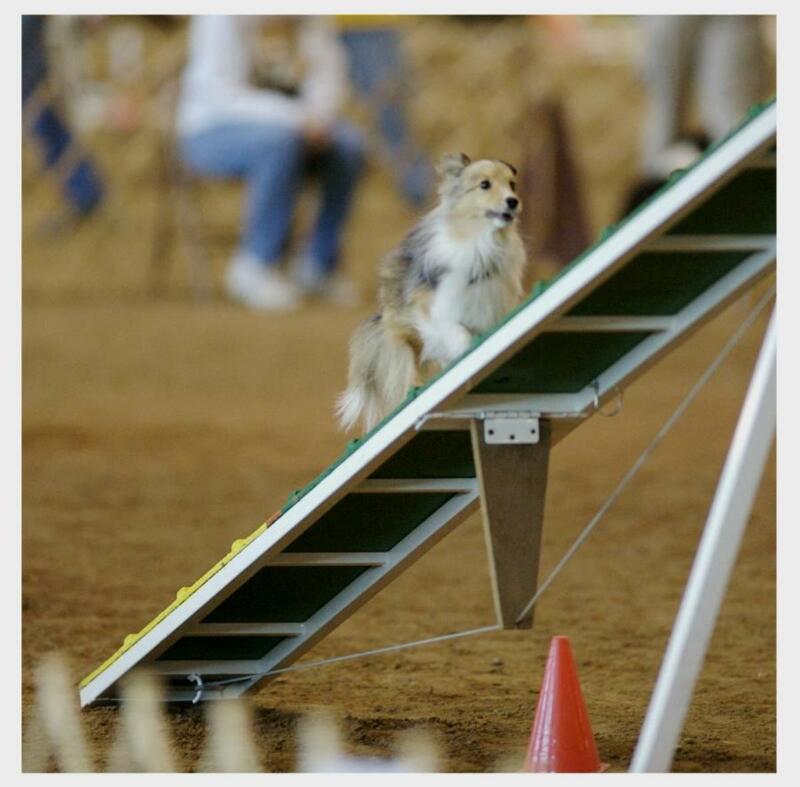 In the first photo, you can see Aslan has his tail in the lowered position to help him elevate quickly up the dogwalk ramp. 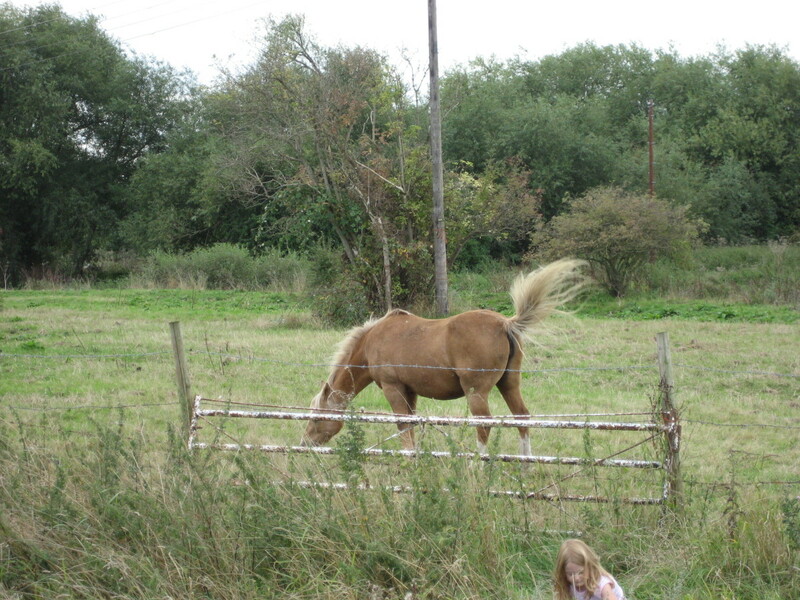 In the second photo, you see Aslan has taken a misstep. His right rear foot is barely on the dogwalk. His tail is raised and moving to the left to attempt to help him regain balance on the narrow surface. His face registers worry and concentration. In the third photo, both of his right paws have missed the dogwalk. His tail appears to be down and even gripping the dogwalk in an attempt to keep him from falling. It is unknown if this is indeed his purpose, but he is attempting to use his tail to help him maintain balance and safety. His focus is straight ahead and down at his target - a tunnel running under the dogwalk. In the fourth photo, we can see his right feet are back up on the dogwalk. He has lowered his center of gravity, and his tail is whipping back again for balance as his he fights the forces of gravity and momentum for control. His focus remains very sharply pointed at the tunnel under the dogwalk. 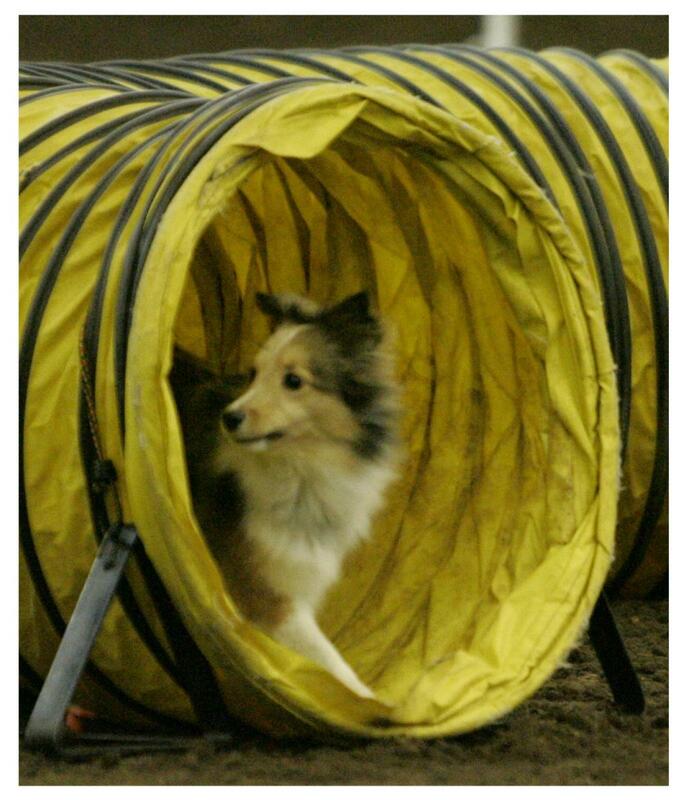 In the last of the series, we can see him safely jumping onto the soft surface of the green and yellow tunnel. Because of his skill at manipulating his body and his tail to reach a safe landing, he only suffered some minor muscle soreness in the scary accident. It is fascinating to see Aslan working his body, including his tail, in the above series of photographs. The role the tail plays in balance is plainly seen in these well-captured photos. 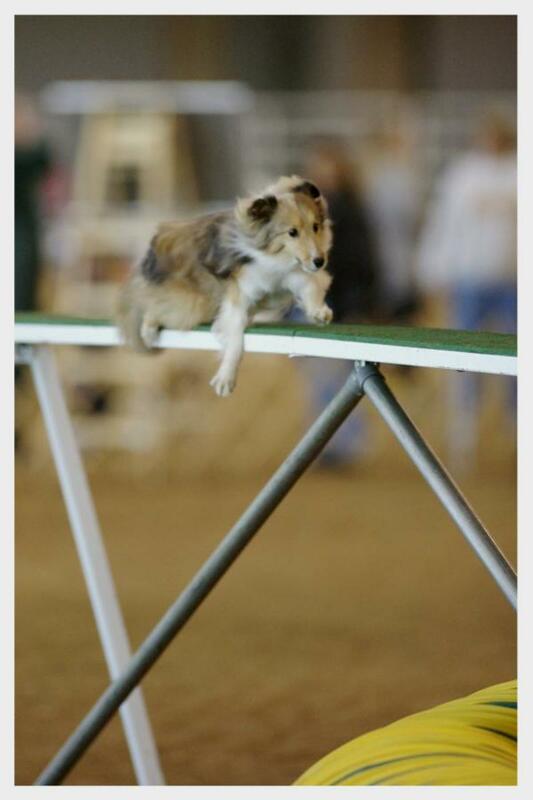 Dogs use their tails to aid in jumping as well. They will lower their tails for elevation and raise their tails for landing. This makes them aerodynamic for the take-off and increases drag for the landing just as aircraft use flaps to increase or decrease speed and drag. 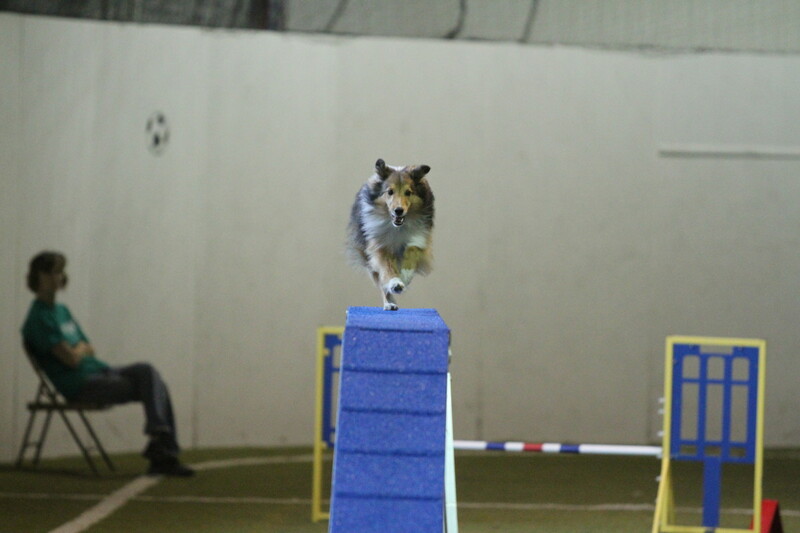 In the photos 2- 4 above, we can see Aslan preparing for, executing and landing over a jump. In the first photo of the series, we can see his tail is up. 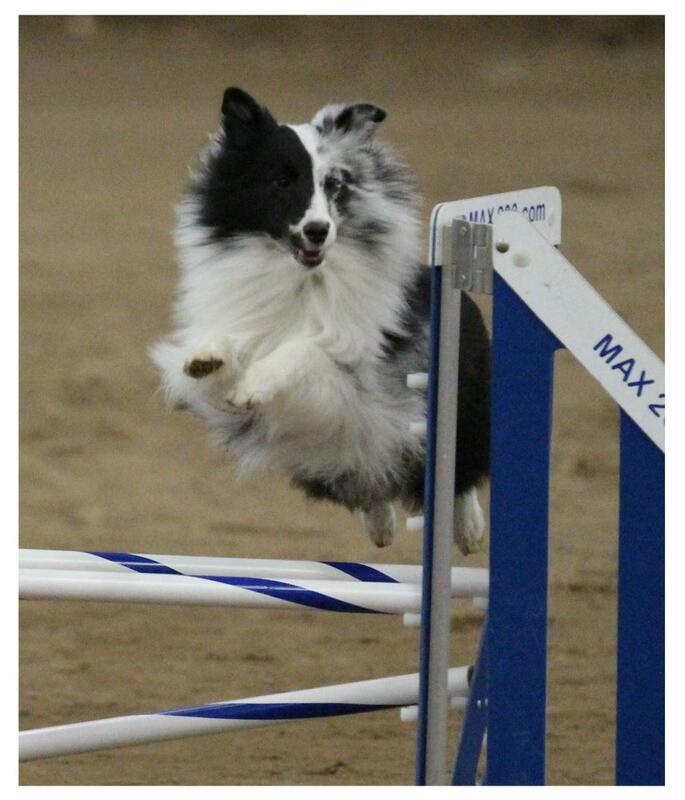 He is using his tail to help "push down" for his takeoff over the jump. Next, we see his tail is down to help with lift and minimize drag. 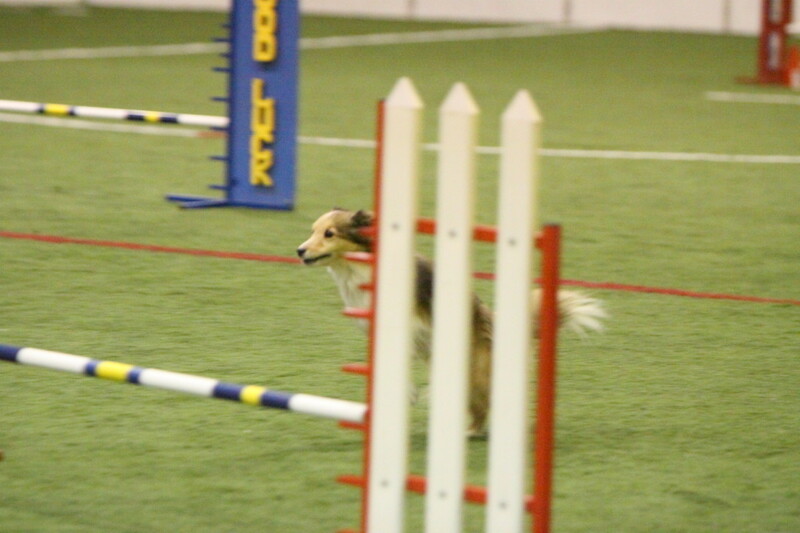 Once over the apex of the jump, the tail begins to rise to increase drag and help Aslan return to earth. Weave pole pictures provide an interesting study in dogs' tails as rudders. 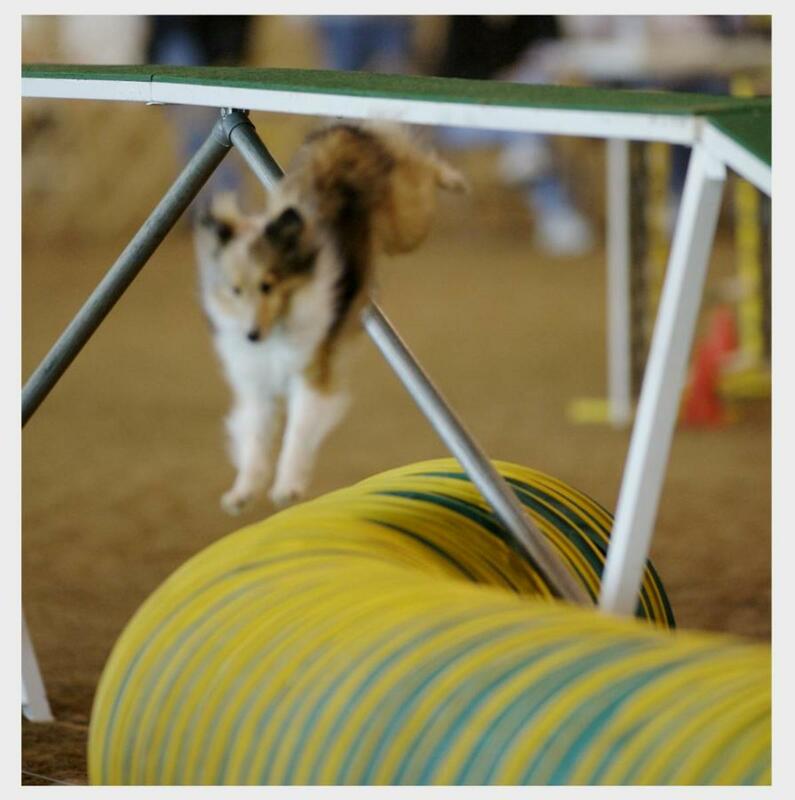 In the two pictures above, you can see Asher using his tail to help propel him through the poles. He whips his tail back and forth allowing the slalom motion needed for weaving to be easily achieved. To see Asher performing the weave poles, go to 0.26 on the video below. 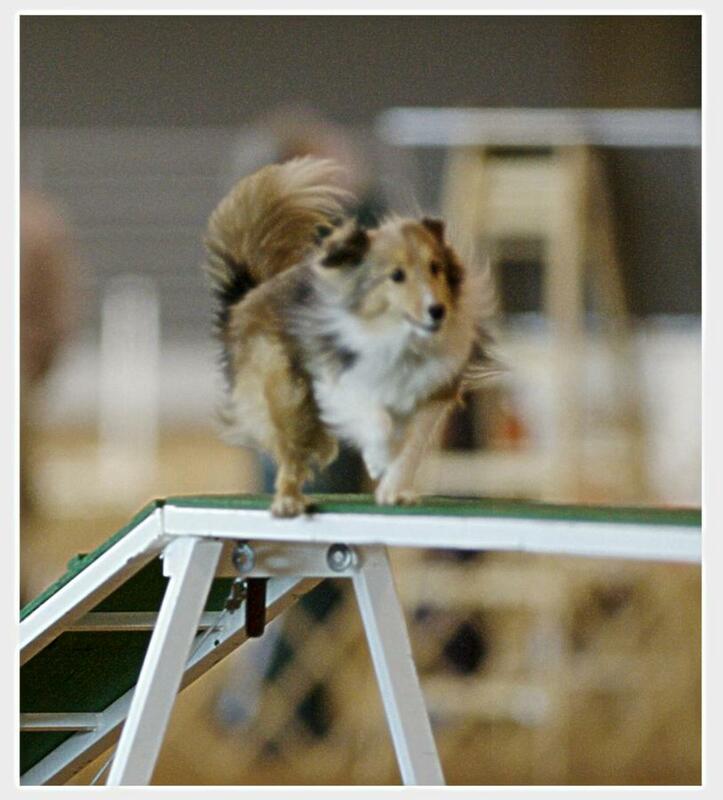 When it comes to contact obstacles, dogs will often lower their tails for ascent and raise their tails for descent, especially if they have to slow for a trained stopped (static) contact. Above you can see several photos of Asher running on the dogwalk. 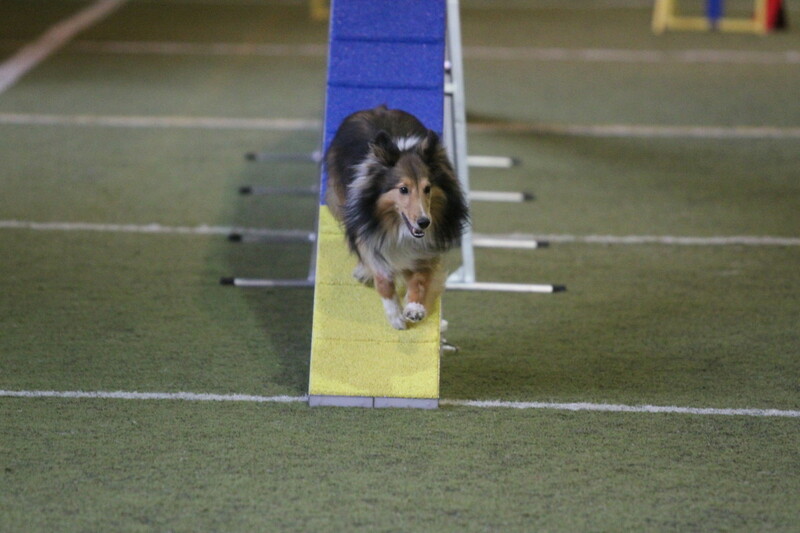 As he reaches the descending plank, his tail raises to give him more drag to decelerate for the stopped contact performance in the bottom yellow part of the plank. This article is not about tail docking, but when dealing with the concept of the tail as a rudder, the topic needs to be briefly discussed. 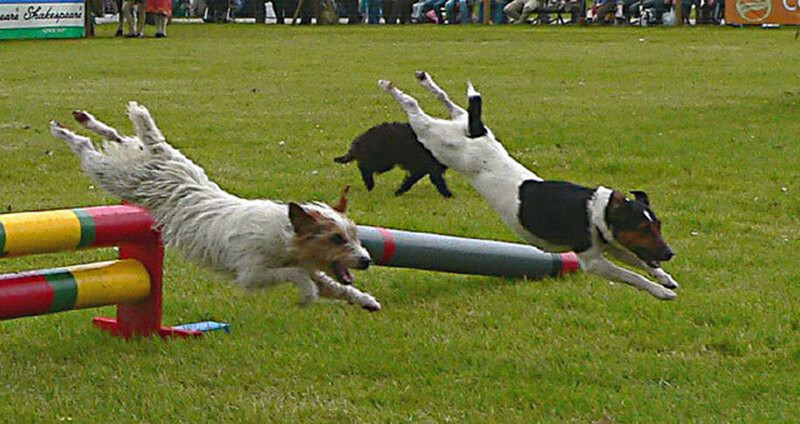 The docking of dogs' tails has been a controversial subject in the canine community for years. 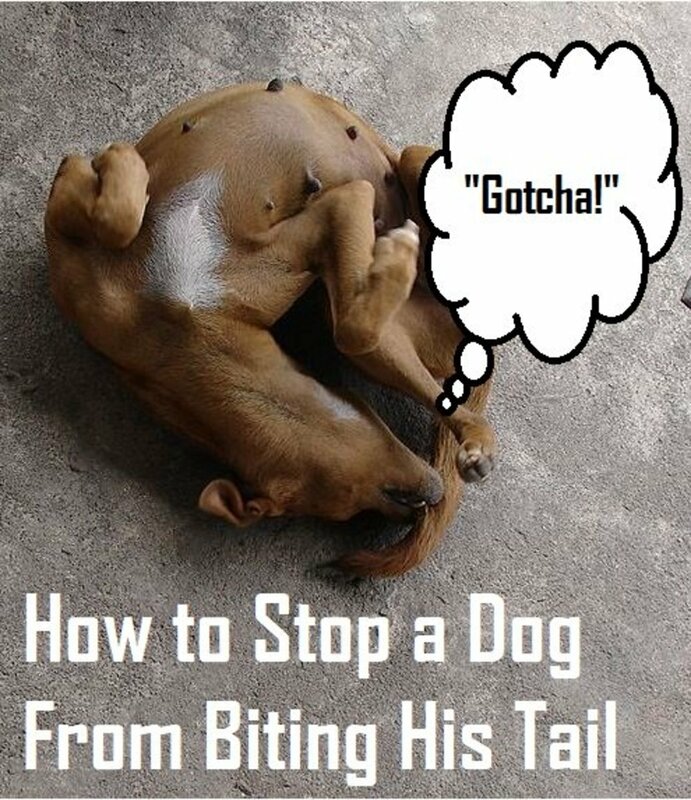 Docking is simply the removal of a portion of a dog's tail. 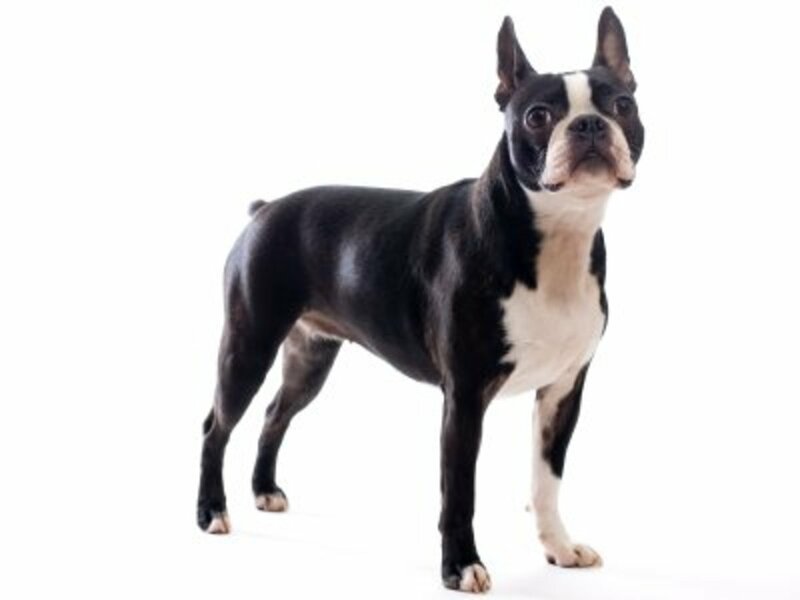 Originally instituted to help keep working dogs from tail injury and infection and to supposedly increase speed, tail docking continues to this day in the United States. 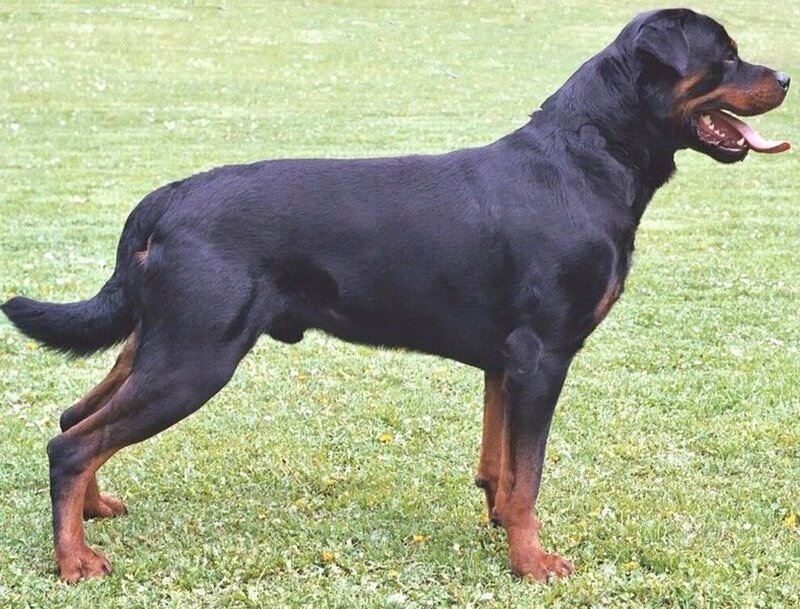 Whether the pup is destined to be a working dog in the field, farm or ranch or a house pet, dogs of certain breeds often sport docked tails. Docking is now banned or highly restricted in many countries. These countries consider the practice cruel mutilation for ascetic purposes only. In the United States, the practice is not restricted, although some states have introduced legislation to do so. Studies have shown the tail is used to aid in balance. (Wada et. al., 1993) However, it is up to each individual owner to decide whether the loss of a tail due to docking is a concern for the active canine. 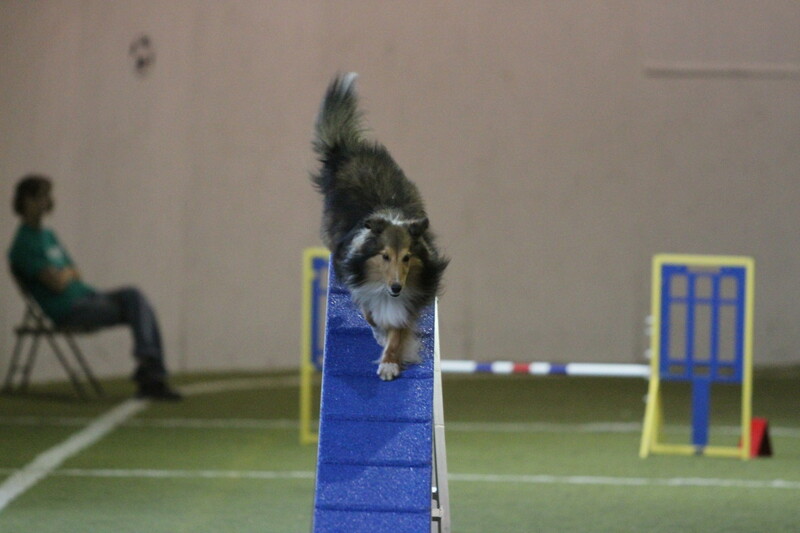 As docked dogs have worked very successfully in all sorts of canine activities and sports for years, this decision may or may not weigh heavily when deciding whether or not to dock. This article does not aspire to weigh the pros and cons of tail docking. 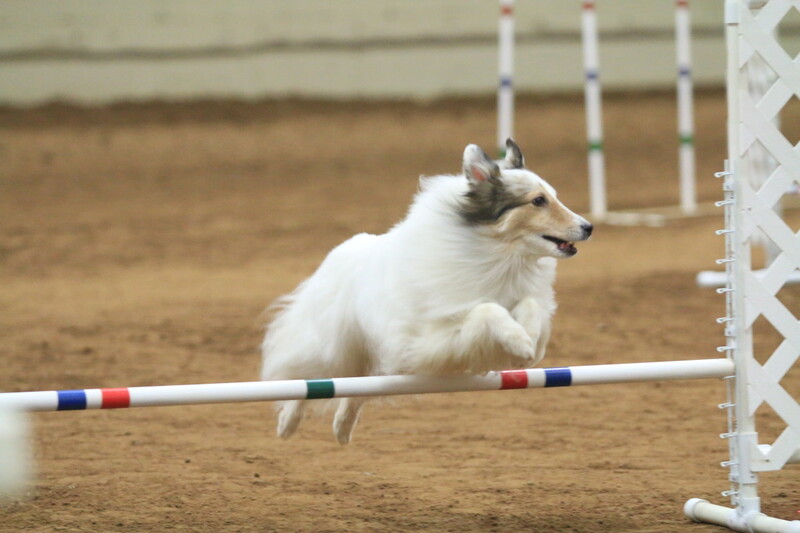 In the above video, watch this Sheltie's tail as he works his way around the hybrid course at the 2013 AKC Agility National Championships. 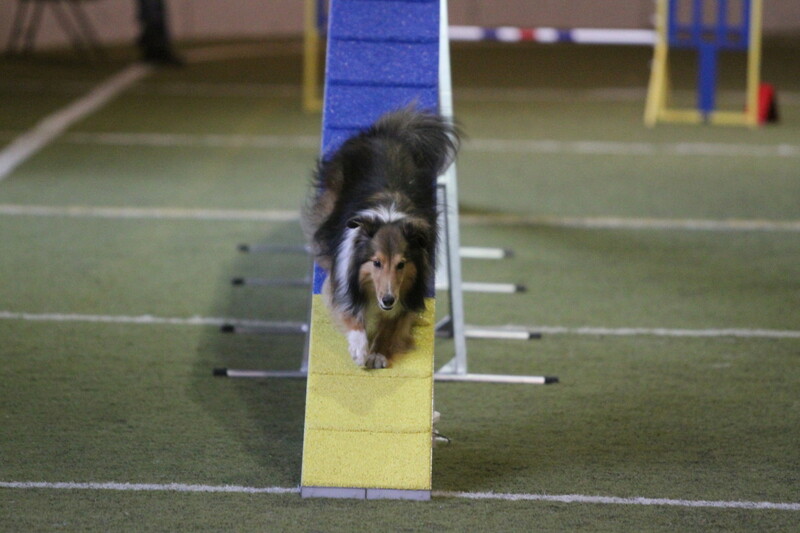 You can see this experienced dog really working his tail to provide balance, especially on turns. 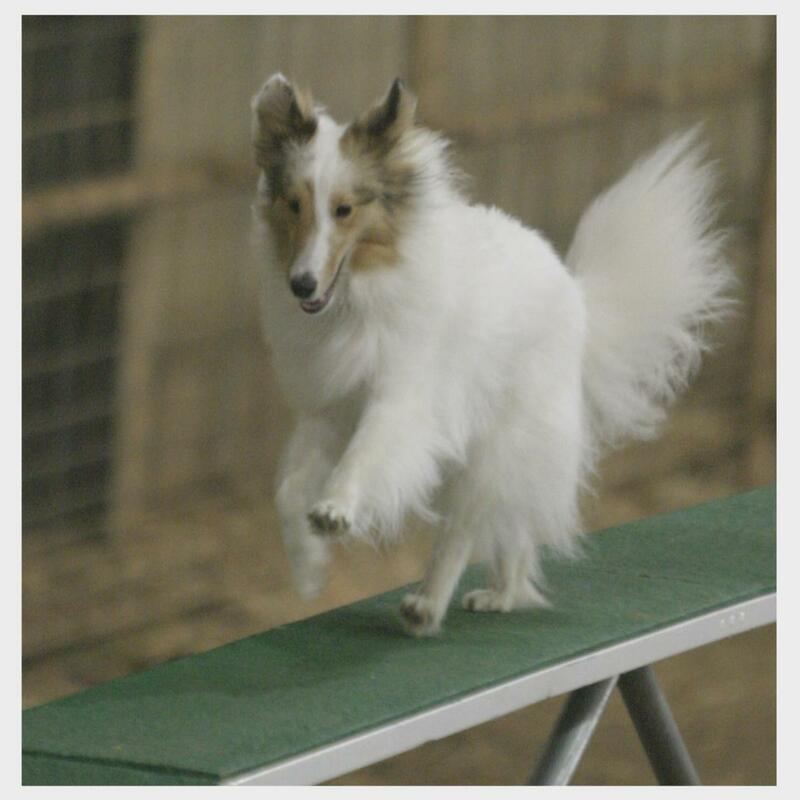 If your dog is involved in a fast paced canine sport, browse through your photographs that capture and freeze those moments of intense physical movement from your dog. Examine the tail. 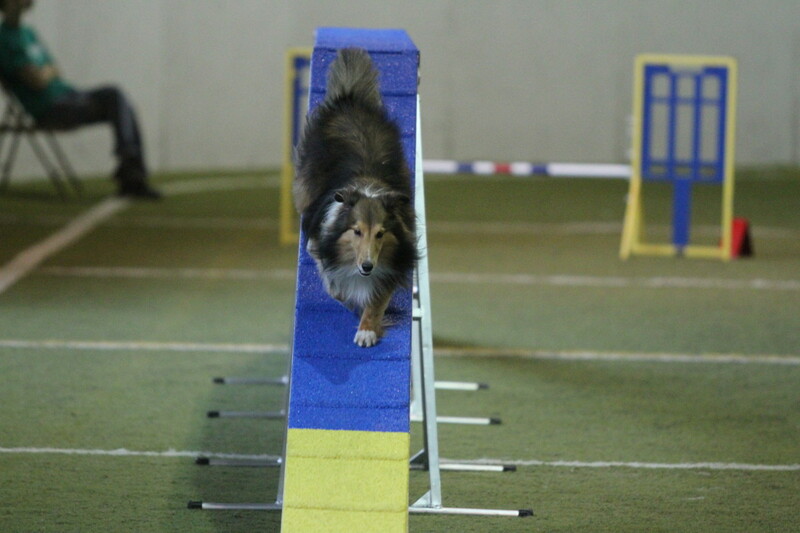 You may be surprised to find your dog is more talented and physically aware than you dreamed. How important do you think the tail is for the active canine? Fantastic high quality photos. Great work! Looks like a future editor's choice! Keep up the good work!